Communication is the key that unlocks victory. A babbling brawler. Talks constantly, even in battle. His fire station is equipped with built-in siphons that draw water from soil to form a high-impact water jet that can blast through granite. 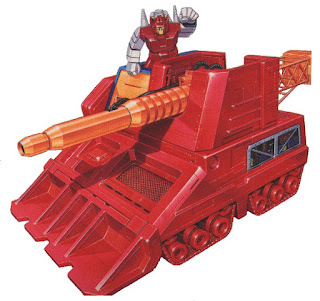 In battle, his station's front ramp converts to high-speed battering ram. Also armed with rocket launcher and freeze missiles.